Jonah Stillman returns to the GutwiZdom studio! 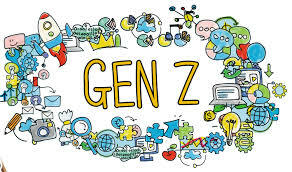 Born into the “Z” generation, Jonah - a recent high-school graduate and co-author of “Gen Z @ Work” - joins Deidre and JG to enlighten us on how the world is changing, and what we need to do about it. Move over Millennials! Generation “Z” is here, and they are the empowered generation! Generation Z is currently the largest population segment ever – larger than the Baby Boomer, Gen X, and Millennial generations. Times have changed and Generation Z is beginning to assert themselves and their values in BIG ways – they’re completely transforming workplaces, turning higher education on it’s head, and have dramatically different buying behaviors! Learn to learn from failure. Gen Z is not afraid to fail because you can always learn from your mistakes! Take a gap year. Taking the time to find out who you really are is important to Gen Z. They are taking gap years to get internships and work experience to find out what they really like to do instead of jumping right into college. Learn “just in time”, not “just in case”. The way Gen Z learns is so different than previous generations. They can learn everything they need online and in minutes. Physical vs. digital. Gen Z doesn’t have a preference about the physical or digital world. They don’t care about buying products online or in-store, what does matter to them is speed, convenience, price, and getting what they want in the most efficient way possible. Be open minded. Embrace the fact that Gen Z is different and be open to the changes they’re creating! LISTENERS: What do you think about Generation Z? Share your experiences and “wiZdoms” with us! Either leave us a voicemail at 1-646-653-9278 or send us an email. We may talk about it - or we may even talk with YOU - on the air! ← GutwiZdom Lives It Up!